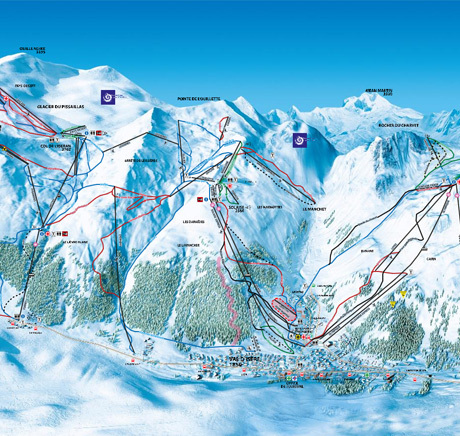 A vast ski area with great snow conditions: snow is guaranteed! 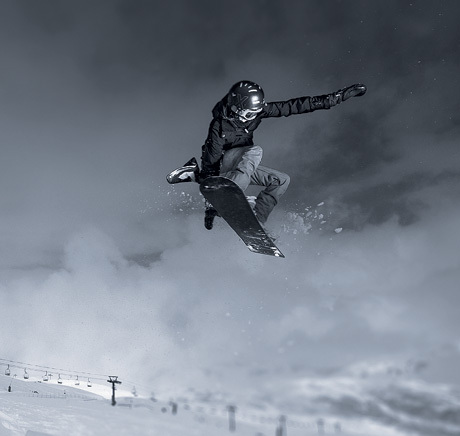 Val d’Isère’s ski area is open from November 24 to May 1st, 2019, with 300km of prepared pistes as well as some magnificent and easily accessible off-piste opportunities. You can tackle the iconic Face de Bellevarde from November to May with its great views across the Alps and the village down below. Speaking of the Face de Bellevarde brings to mind the important races that have taken place here. These include the men’s skiing events at the 1992 Albertville Winter Olympics, the Alpine Skiing World Championships in 2009 and also the Critérium de la 1ère Neige which each winter brings together the world’s top skiers. Our advice : after a short warm-up, La Face is best tackled first thing in the morning when it has been freshly groomed. It’s a real delight, but be aware that this run is only suitable for skiers who’ve reached a competent level of expertise. It’s most definitely not for beginners or low intermediates. 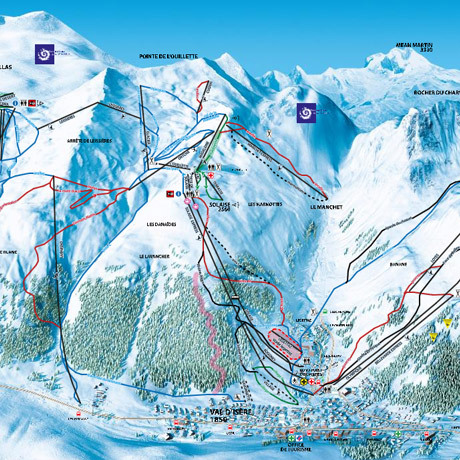 Val d’Isère offers a vast ski area with great snow and optimal weather conditions for skiing. Temperatures are regularly subzero during the day and/or at night during the entire winter season, as well as in April. This maintains snow cover, even without new snowfalls. The snow is always there! 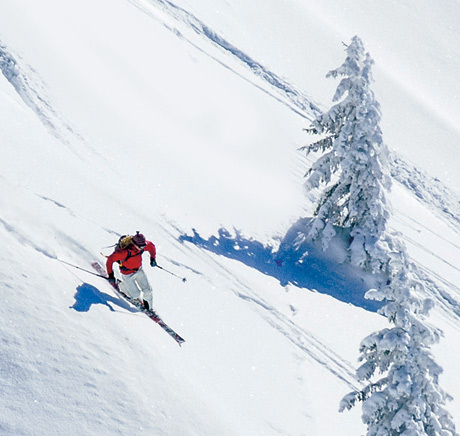 The snow guarantee allows you to ski almost all year round with a break in May and June and from the mid-July to November. Val d’Isère offers a wide choice of special offers featuring spring and summer skiing. You can ski during the summer in the mornings from June to mid-July on the Pissaillas glacier. A shuttle bus offers transport from the village to the foot of the glacier with all-inclusive ski pass and discount for kids. Don’t miss the opportunity of enjoying summer skiing above 3000 meters. Val d’Isère has produced some legendary men and women: Henri Oreiller at the St-Moritz Olympic Games in 1948, Jean-Claude Killy and his three medals at the Grenoble Olympic Games in 1968, and of course the talented, charismatic Goitschel sisters. Welcome to the place where you will make your own snow-filled memories! Come and visit our Snowpark! Val d'Isère ... The adrenaline is in the highest degree, the show is in the arena. 25 original rails, 3 natural boardercross and large spaces for beginners, all located on the wrong side of Bellevarde. To you the jumps, the bumps, the rails and the craziest improvisations ... everything is allowed. Snow must go on! Why choose Val d’Isere to ski in the French Alps ? 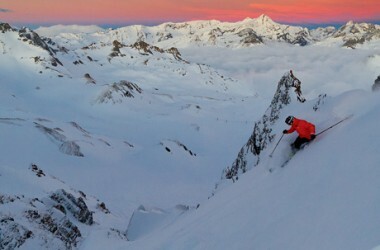 What else is there to want from your skiing experience ? In Val d’Isère, passion has no boundaries. Teens, over fifties, celebrities and champions… Everyone comes here for the best skiing out there. 300 kms of ski runs, 1900m of vertical and the legendary Face de Bellevarde at your feet! At first, it can seem a little bit overwhelming but the attraction is so strong and so natural that you won’t be able to resist it for long. The mountain is calling, vast and fascinating. Your feet are getting itchy. You stamp them. OK, take a big breath and go for it! You are in Val d’Isère.